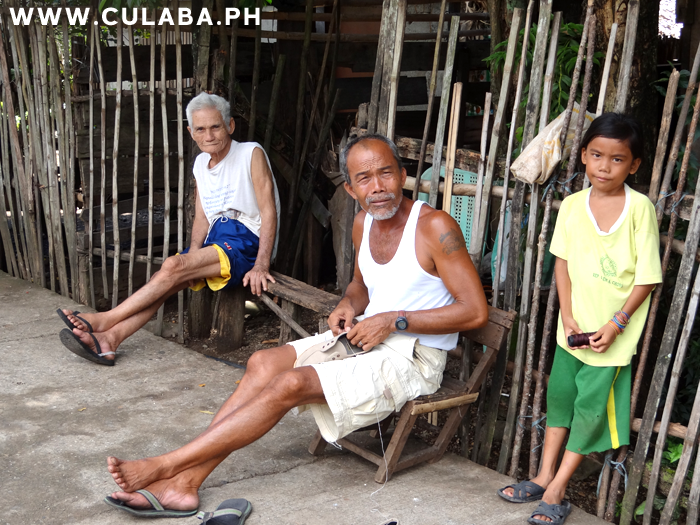 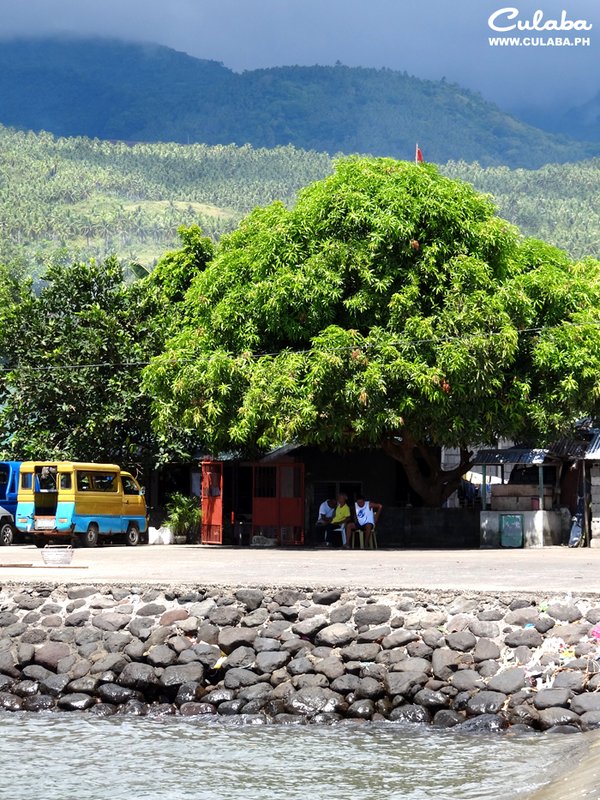 People of Culaba sitting in the shade of a tree on a hot Biliran day. 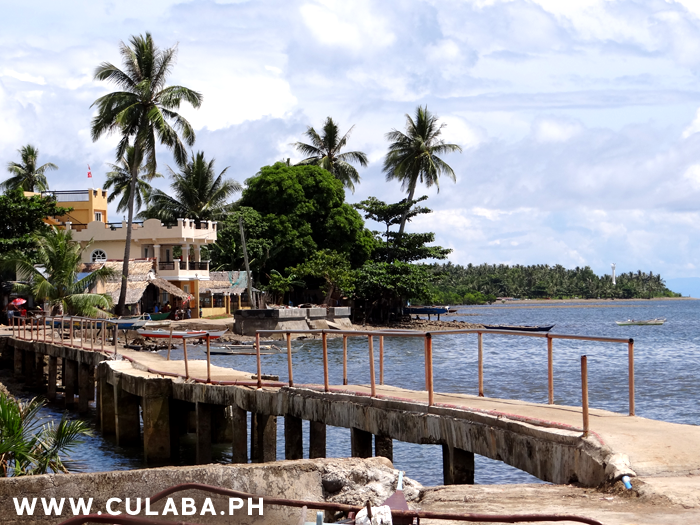 Photo taken from the Culaba causeway. 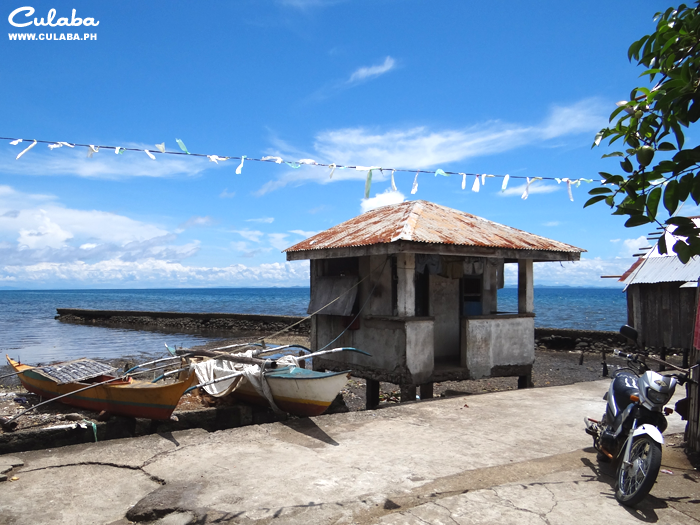 A cute little building at the northern end of Culaba Town. 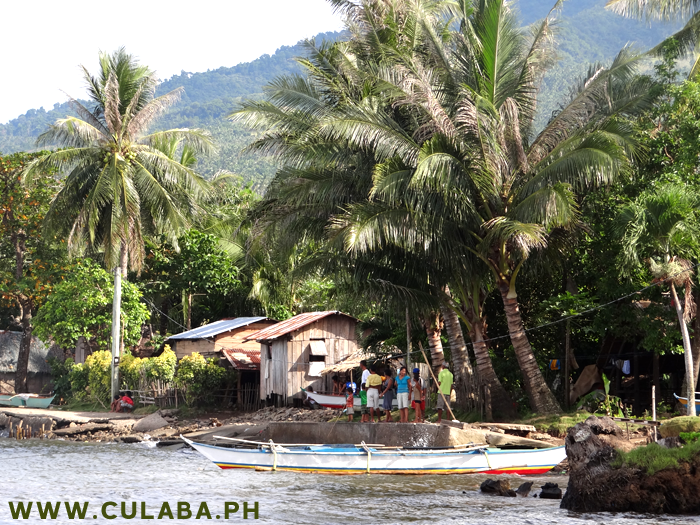 A large house built by the sea in the Pikas area of Culaba town, with it's very own sea wall to protect it from erosion. 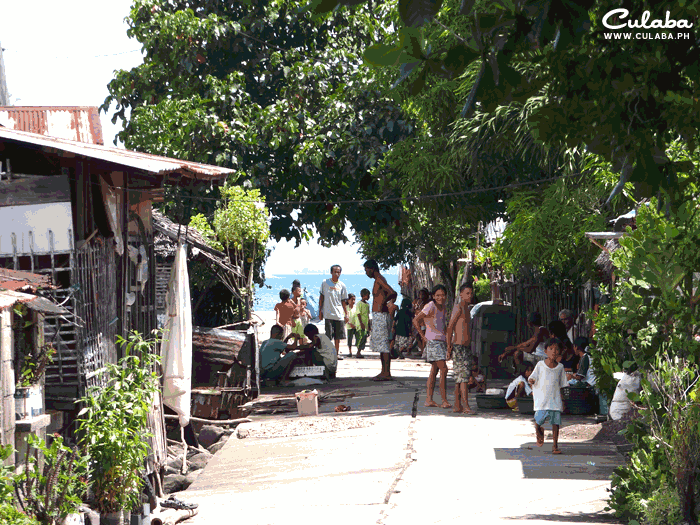 Pikas has a concrete walkway but much of it has been damaged as storms wash away the sandy foundations. 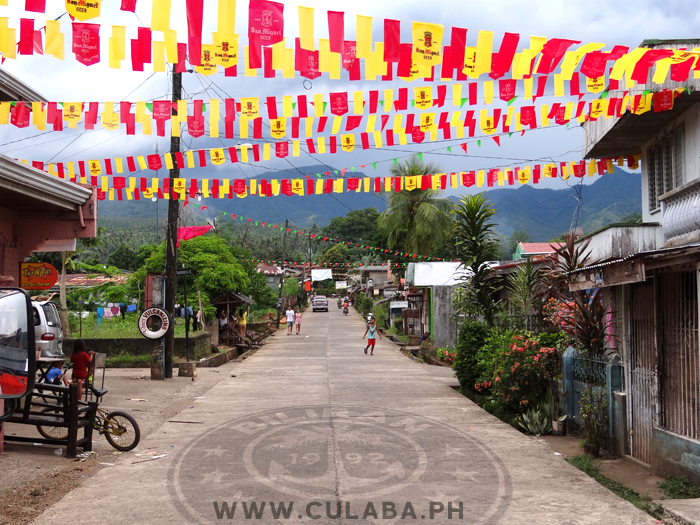 Looking down one of the main streets into Culaba, with the colourful flags flying for the towns fiesta and the sea in the distance. 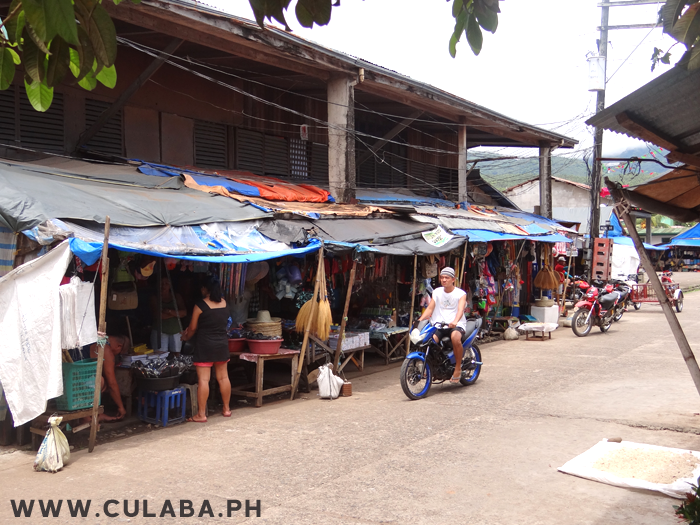 The main parade of Shops and Stores in Culaba, Biliran Island. 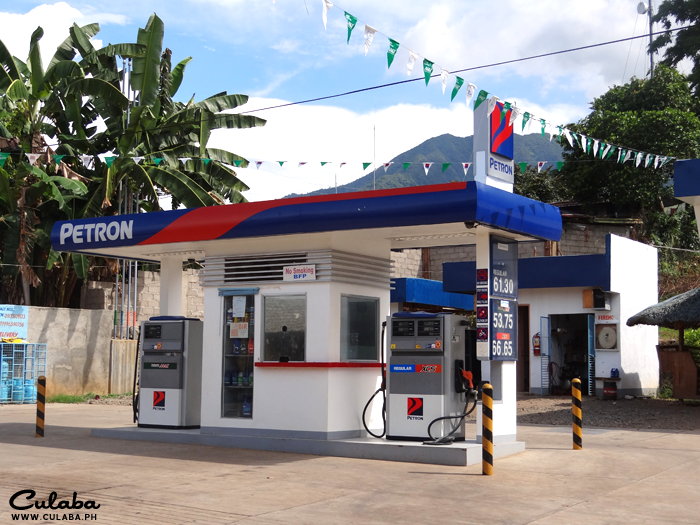 The Petron Gas station on the Biliran circumferencial road in Culaba. 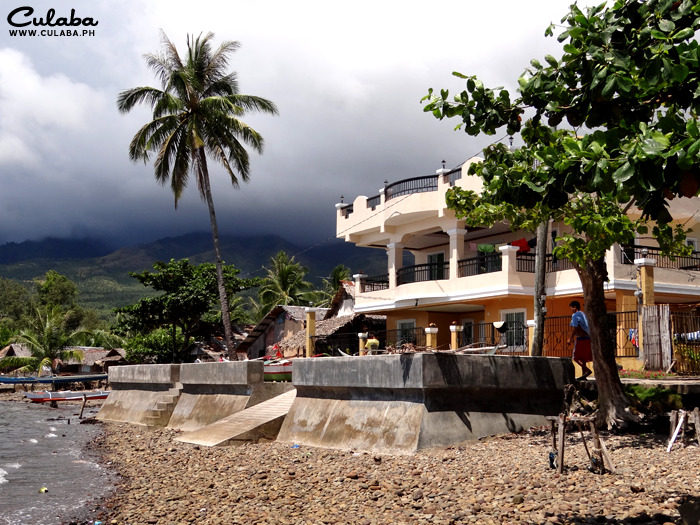 A newly built sea wall in Pikas, Culaba to protect a large house from erosion during storms. 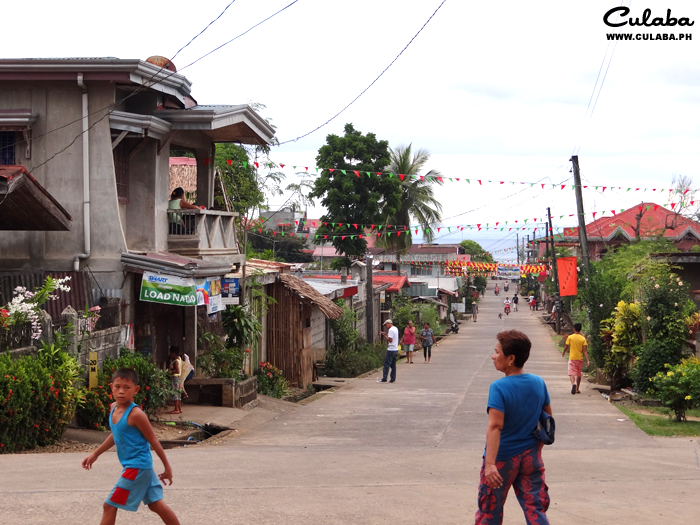 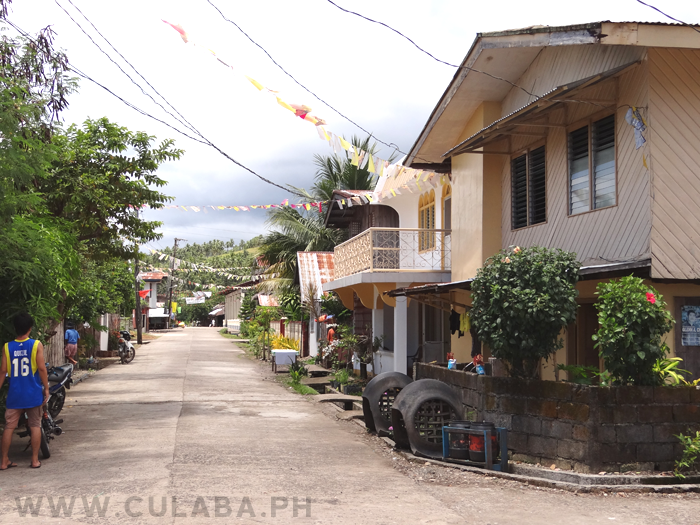 Looking down the street into Culaba, with lots of Habal-Habal motorcycles waiting to take passengers out to the local Barangay. 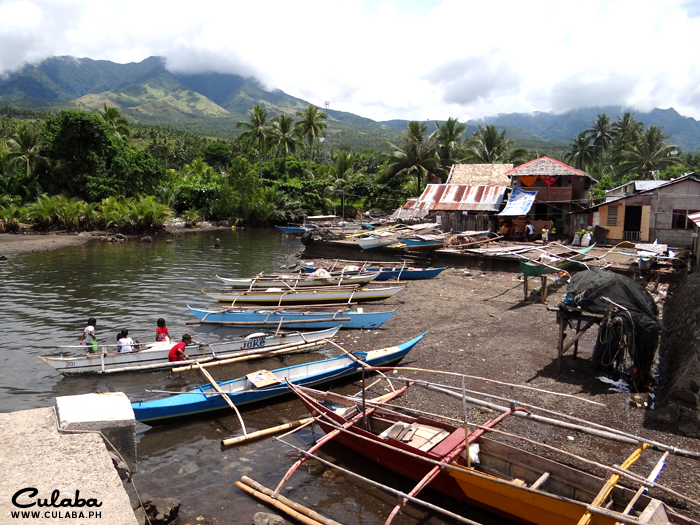 Fishing boats at the southern end of town in Culaba. 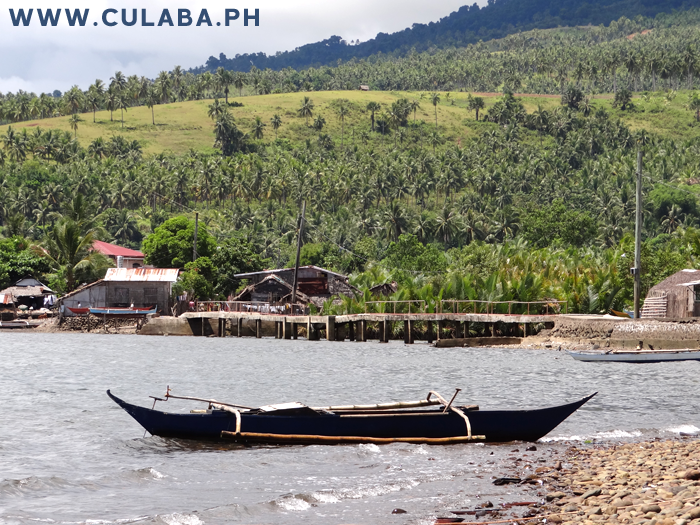 The Culaba Town Seawall has been built leaving a muddy area behind it. 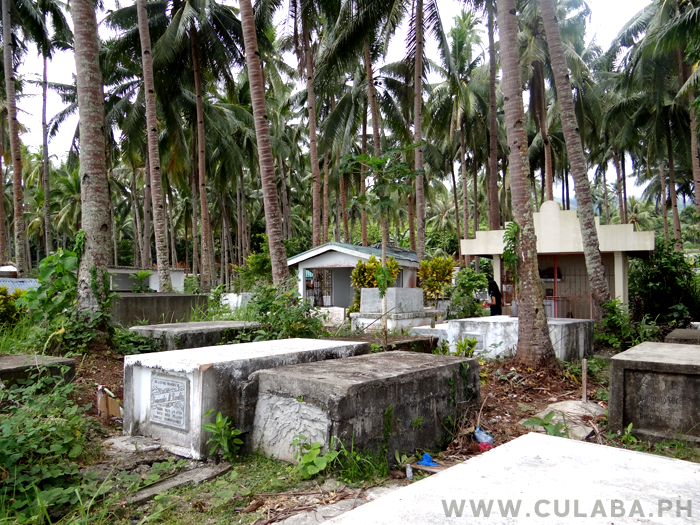 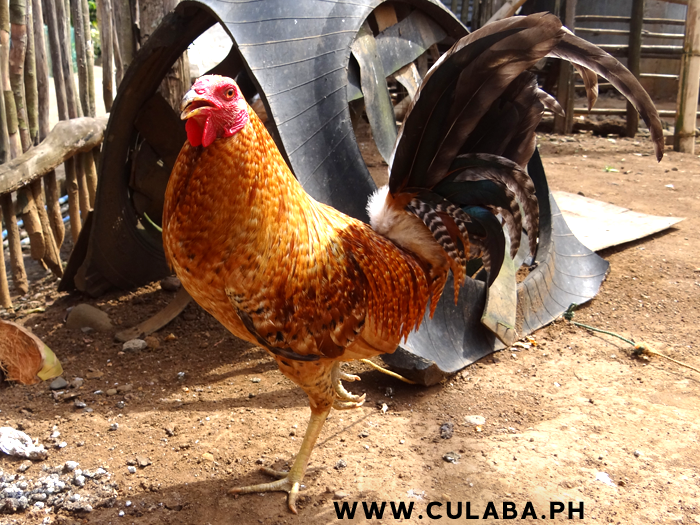 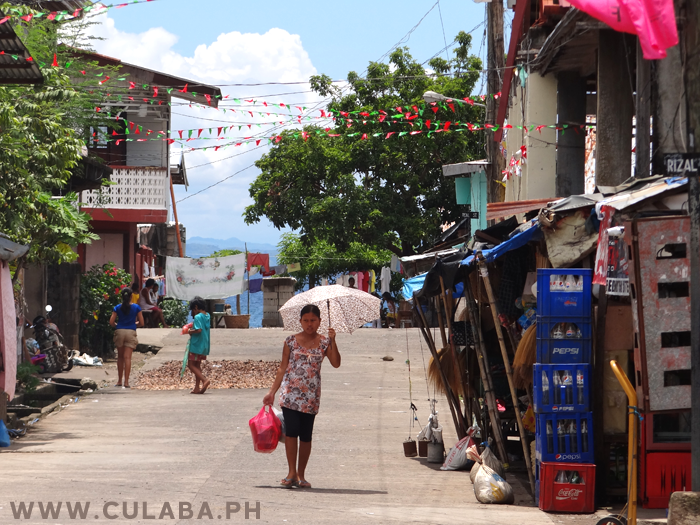 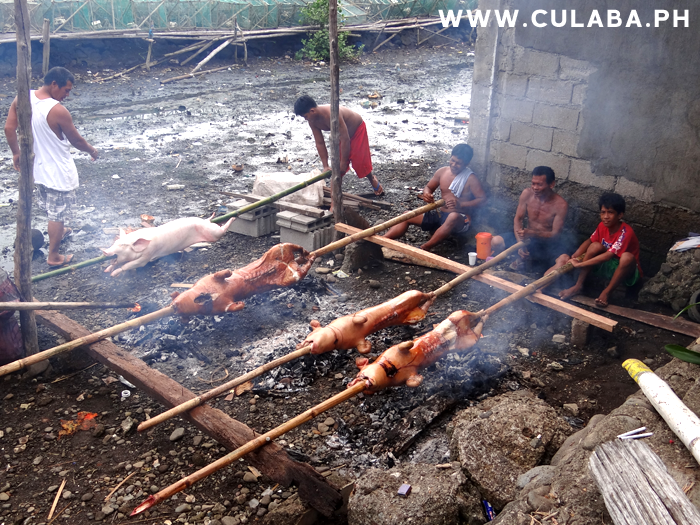 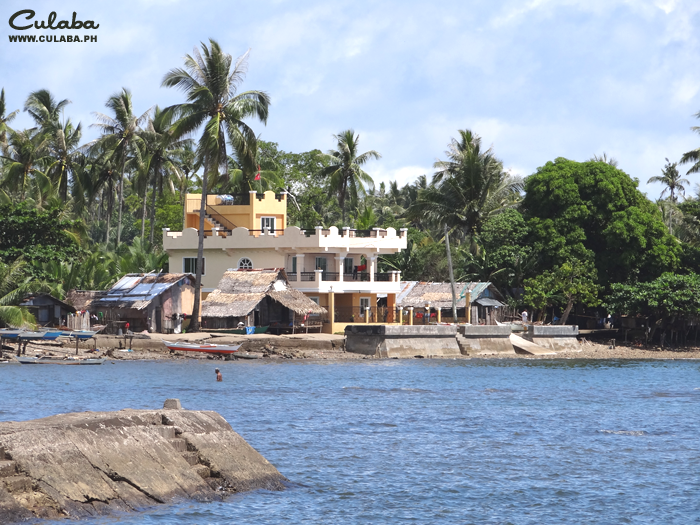 The Pikas area of Culaba is a row of houses alongside the sea, beside the main town of Culaba in Biliran Province. 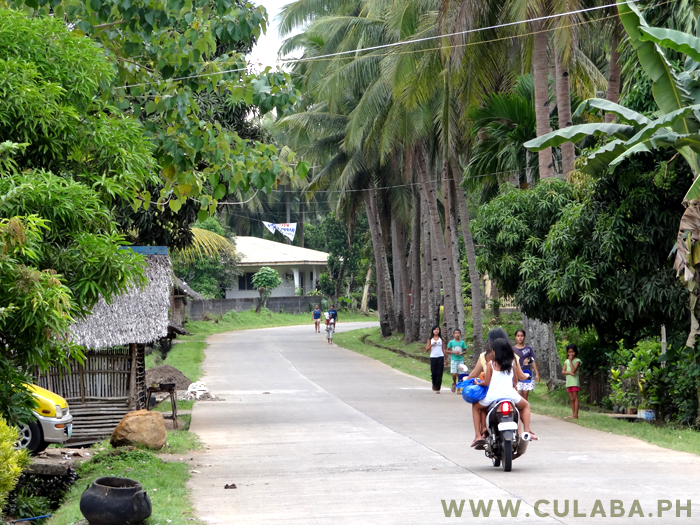 Coconut shells drying in the street near the Culaba Gym, and a local girl coming home from shopping in the stores. 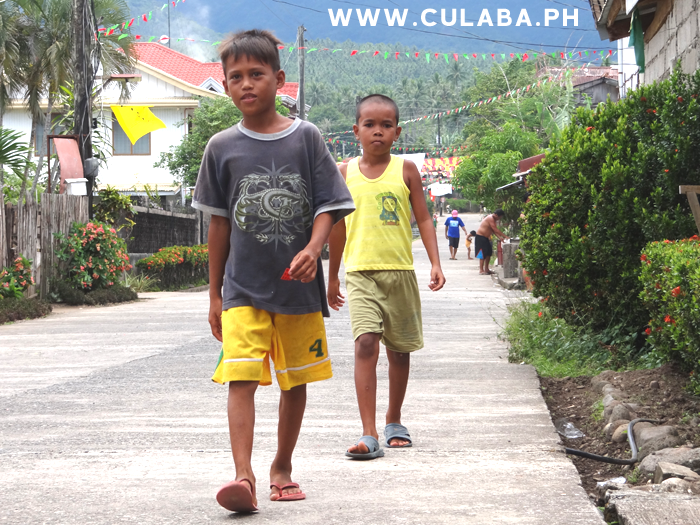 Repairing shoes in the streets of Culaba. 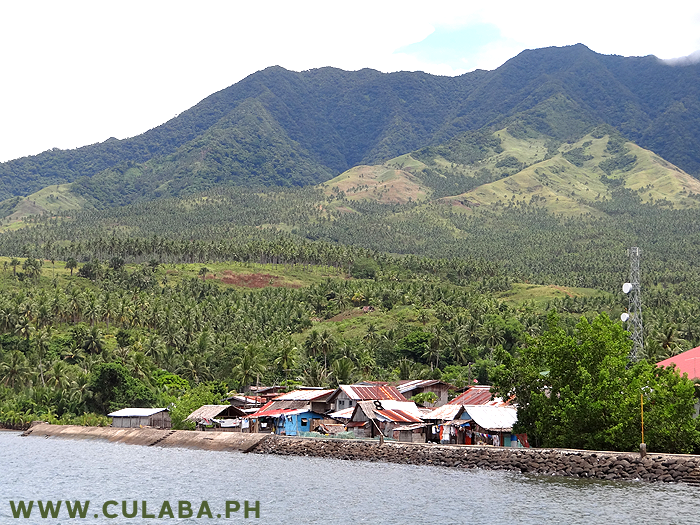 View of Culaba Town and the high mountains of Biliran Island. 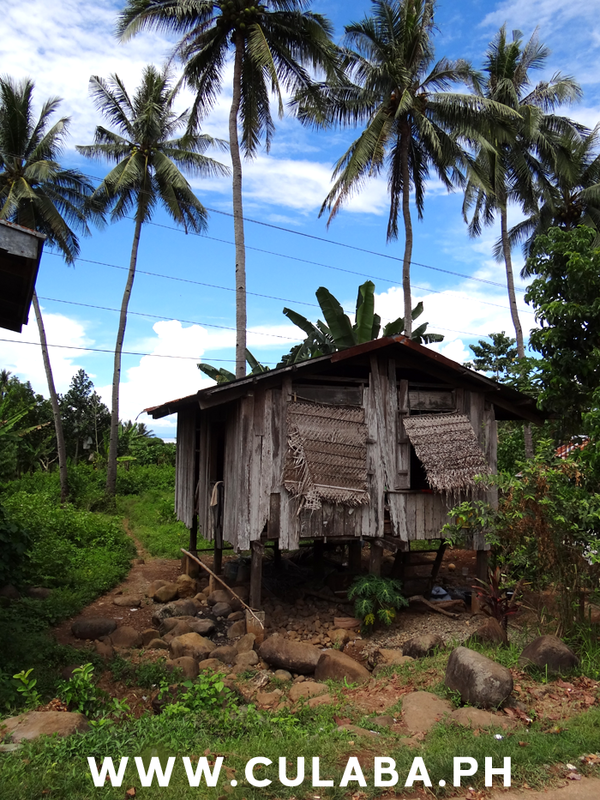 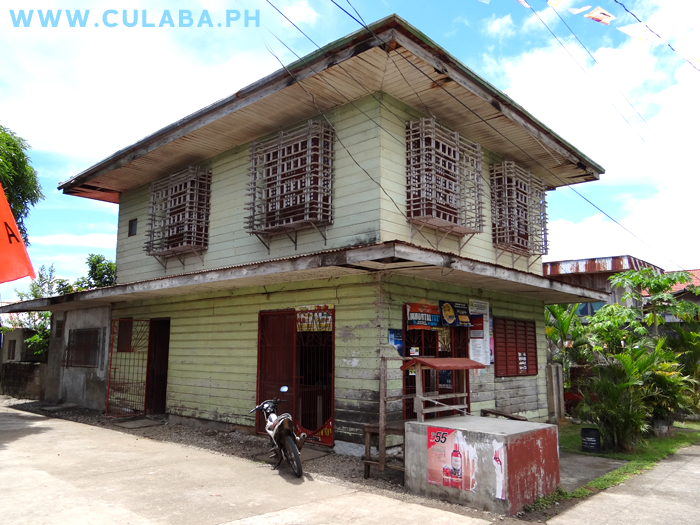 Old wooden house in Culaba Town. 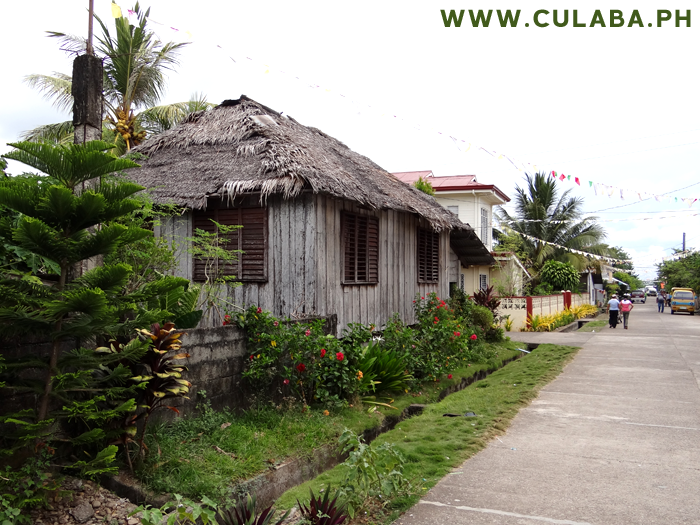 Traditional old Filipino house in Marvel, Culaba Town. 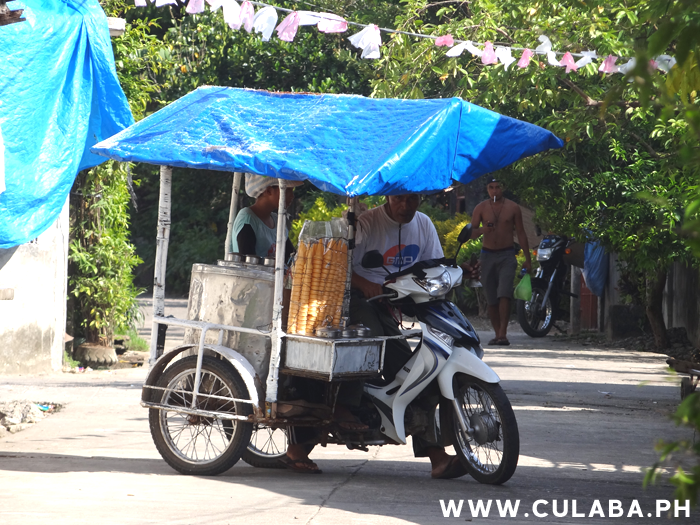 Ice Cream in Culaba Town. 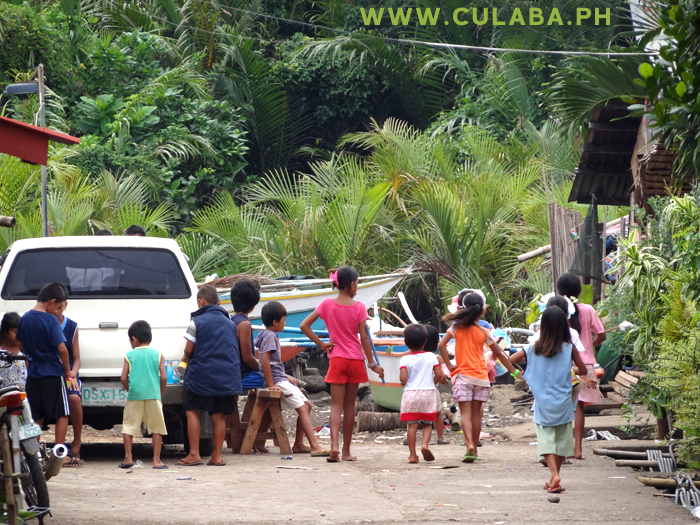 Children playing in the streets of Culaba Town. 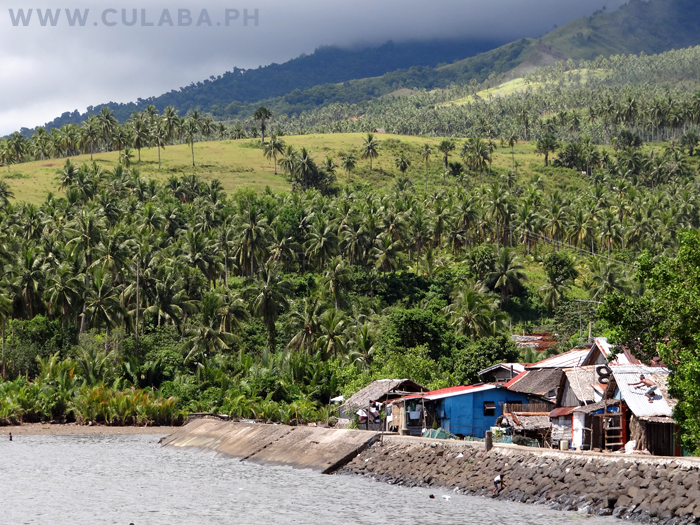 View from Pikas looking towards Culaba Town and the walkway bridge. 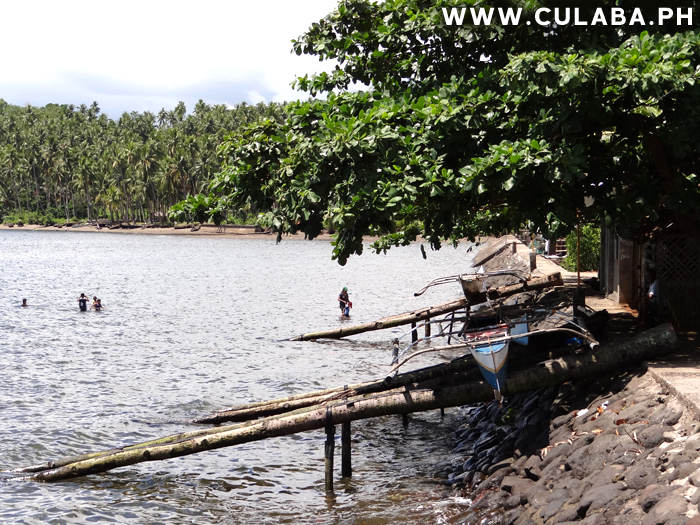 Fishing boats on slipways made from coconut tree trunks. 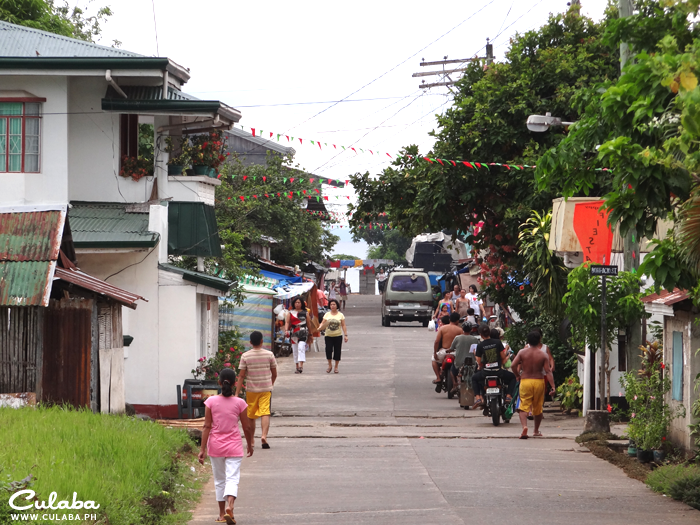 Real Street in Culaba Town looking south towards the Gym and shops. 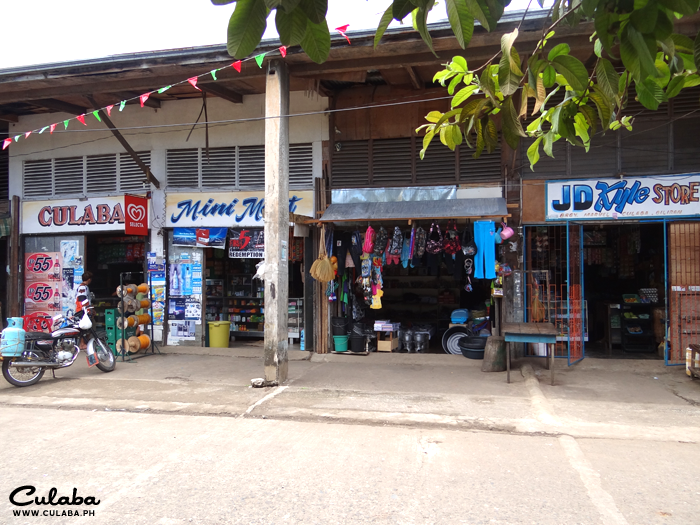 A small Sari Sari store on a street corner in Culaba town. 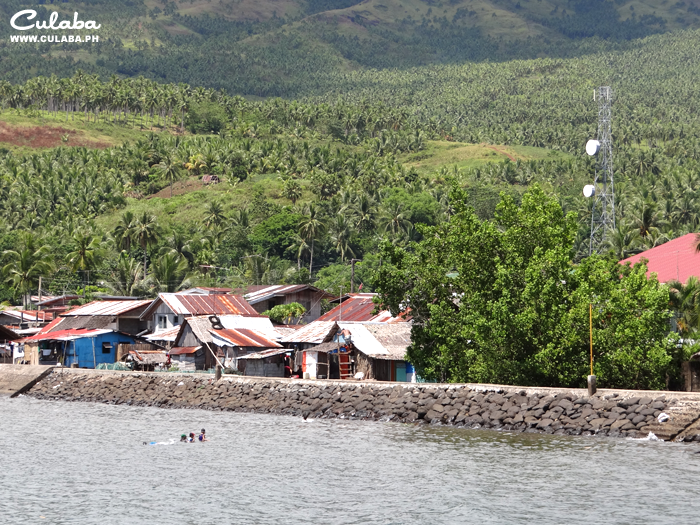 View across Marvel in Culaba and the hills beyond. 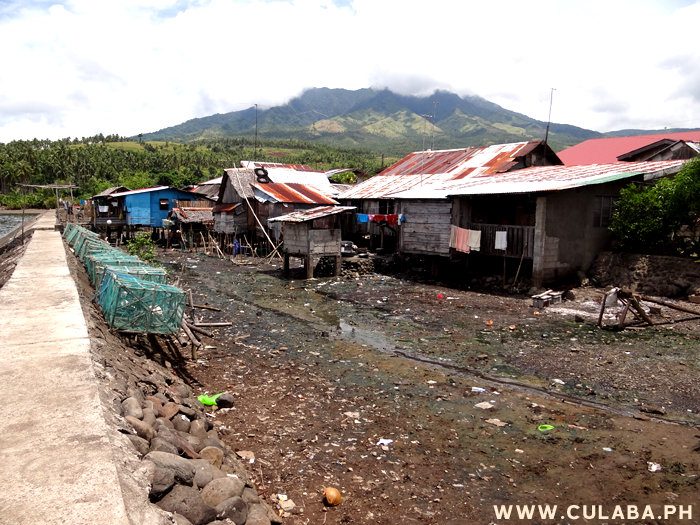 View from Culaba over the walkway to Pikas.